Cheap TVs brings you the cheapest big brand TVs in the UK – all at unbeatable prices. The latest discount TV deals offer unbeatable value for money on the latest 4K, Smart, 3D and curved TVs. We pride ourselves on offering the best cheap TV deals for an incredible range of televisions that is capable of rivalling anything else available online. We appreciate how quickly television technology develops and moves, so we're always striving to remain at the cutting edge when it comes to sourcing our ever-improving range of products. This means that no matter if you're in the market for a classic LED TV to be trendily wall mounted or a state of the art curved TV then we've got what you need - all at incredible prices! We also work hard to ensure that no matter what size TV you need to take pride of place in your home, we're able to supply it, with screen sizes ranging from 15" to well over 50". How Can We Offer the UK's Best Cheap TVs? With such fantastic prices, you'd be forgiven for thinking that we'd only be stocking white label product. However, nothing could be further from the truth. We proudly boast an incredible range of brands that are renowned for the premium quality and superb durability of their products. No matter if it's a colossal curved Samsung or a sleek, wafer thin Sony, we have your dream TV just a few clicks away. All of our items are graded, which is what allows us to offer the cheapest big brand TVs in the UK. Benefit from the best cheap TV deals that other major retailers on the high street simply cannot afford to match. What this means is that the items we sell tend to be end of line stock, have slightly damaged packaging or have been used as display stock. However, this still means that they're in superb condition, and we operate a rigorous and comprehensive quality control process to ensure that every TV we send out will be to your satisfaction. What's more, we offer our own warranty on TVs, so you can buy with complete peace of mind. 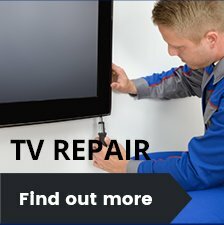 If you need a discount TV, look no further than CheapTVs.co.uk. With years of experience in selling high quality goods at incredibly low prices, you're in safe hands. Our cheap TVs are so low in price, but so high in quality, that you might be wondering how we can offer great deals at such low prices? 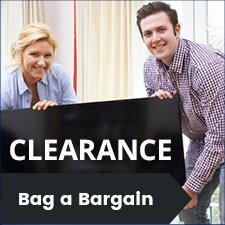 Well, our prices are so low because we exclusively supply graded stock or clearance TVs for sale. This means our TVs may be surplus stock, 30-day customer returns or sometimes ex-display models. However, don’t think that because of this our cheap televisions are low quality or damaged. Our mission is to ensure quality to our customers, so we rigorously test all of our products to ensure they’re technically perfect. All of our TVs are carefully packaged with an original remote and operating manual, so you won't be left wanting for anything. So, if you want to save yourself a packet and get your hands on a cheap smart TVs, cheap 3D TVs or cheap 4K TVs from the very best brands that you know and trust, or even grab an official accessory for one of these models, then don’t hesitate to choose from our varied selection of graded stock. Gone are the days when you would have to pay a small fortune for the latest television. So why not check out the high street stores to find the TV you want, and then come to the cheap TV specialists and save yourself a fortune? Contact us directly or call our sales hotline on 0121 769 0086​. We’re always happy to chat about our range of cheap televisions!